HCM CITY (VNS) — A logistics centre and container depot at Ha Noi's Yen Vien station, planned to be built in the second quarter, is set to become the first private investment in the railways in Viet Nam. Logistics ILT Railway Joint Stock Company will spend VND85 billion (US$4 million) to build the Yen Vien Railway Logistics Centre and a 22,000sq.m domestic container warehouse. The investor will collect fees for 15 – 20 years from lessees and other customers, the Viet Nam Railway Corporation (VRC) will get higher land rents, the northern division's container transport capacity will increase, and pressure on road transportation will ease. It is one of four projects the VRC has submitted to the Ministry of Transport in which it is seeking private investment. The three others are stores in Song Than station in the southern province of Binh Duong and Dong Dang and Xuan Giao A stations in the northern province of Lang Son. "In the past the railways wanted to invest itself, but now we would like to invite private investors, even to operate trains," VRC chairman Tran Ngoc Thanh was quoted as saying by Dau Tu (Vietnam Investment Review) newspaper. "VRC will provide infrastructure along with necessary services." More than 10 local investors had evinced interest in railway projects, he revealed. 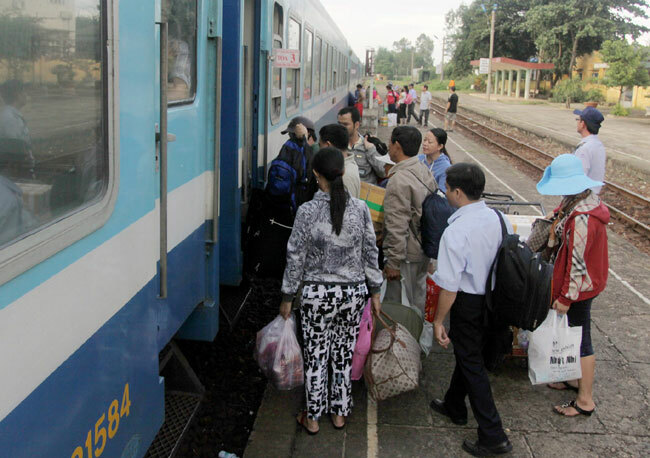 At a meeting this week Minister of Transport Dinh La Thang said Vingroup – a property giant — had offered to buy Ha Noi, Sai Gon, and Da Nang railway stations and replace them with modern stations elsewhere in the cities to ease pressure on their downtown areas. "The Da Nang People's Committee has a master plan and decided to move the station out of the city. "But in the case of HCM City and Ha Noi, more research needs to be done. However, development needs should be considered." Also at the meeting, the Sun Group offered to buy key railway segments like Ha Noi – Da Nang, Sai Gon – Da Nang, and Ha Noi – Lao Cai. The group has invested a lot of money in luxury tourism areas around Viet Nam and is ready to invest in 20 luxury rail coaches for its clients whether or not the other deals go through. "At first, the luxury train will be for our guests only, but later it will open to everyone," Tran Thanh Son, chairman of Sun Group, said. The Viet Nam Railway Authority has also submitted to the Ministry of Transport a list of projects requiring investment, including concessions for 12 segments and four construction works that could cost $5 billion.